When we eat restaurant food, we usually end up with pizza, burgers, or chicken strips. My wife and I don’t prefer these choices, but we don’t whine about having to eat pizza, burgers, or chicken strips as much as the boys whine about having to eat something that’s not pizza, burgers, or chicken strips. It’s easier to just choke down another burger in peace. Occasionally, the parents set their hearts on Chinese food. This is a problem on two fronts. First, we don’t know how to get good Chinese in our town. Every place we once liked has gone downhill. My wife’s standing explanation for this is that the owners retired and their children took over, and, as we all know, children have a knack for ruining things. The second front is our own children. Big Brother will tell us he doesn’t want Chinese food at least 14 times, though he ends up eating the part that looks most like a chicken strip. Buster will eat rice, if he cannot detect anything resembling a bean sprout, bit of egg, crispy noodle, meat or vegetable touching it. It’s quite a chore removing the shrimp and the fried from shrimp fried rice. Big Man might eat all the dishes or none of them. Unless there’s crab rangoon. He likes crab rangoon. The last time we got Chinese food, I ordered sesame chicken. Buster helped me eat the rice. Somehow I slipped a little sauce past his inspection and he decided he liked that too. But chicken, in that same sauce, was out of the question. At last, I got him to taste one cubic millimeter of chicken. He made a face and spit it into the garbage. This was for show, to save face. A minute later, he asked for another bite of chicken. Soon, he and Big Brother were eating all my food. 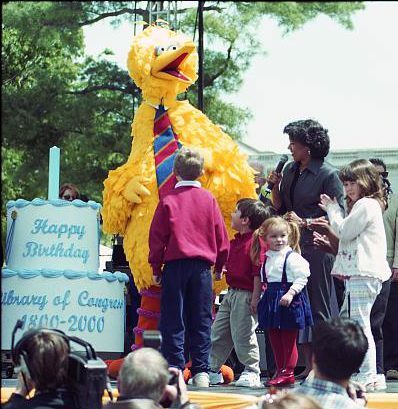 Big bird is a very popular and special character. His cousin is a very popular chef’s special. I didn’t know if my advice would take; Buster has an artistic heart and he likes to keep his requests vague. “Sesame chicken!” loud and clear. That’s progress. Now all he has to do is find a restaurant that hasn’t been ruined by the children. This entry was posted in Little Weirdos and tagged boys, children, Dads, family, fatherhood, food, humor, parenting, sesame chicken, Sons. Oh, swell, another bit of angst to my already conflicted views of being a carnivore. Big Bird’s cousin? I’d better just go vegan and be done with it. You wanna be a vegan? Fine. I’ll tell you what I tell my kids: That just means more Big Bird’s cousin for me! No, I don’t want to be a vegan or even an ordinary vegetarian! But I feel guilty when I remember that meat used to be animals. That’s why I limit myself to only eating the delicious animals. Now I weirdly want some chicken. I wonder why that would be? It was a distant cousin. The only time Big Bird ever heard from him was when he needed money to support his many vices. I’ll consider that your blessing. We make them eat and then we pay for it. He’s way ahead of me on the scoreboard by now.